TypingMaster Pro Free Download. 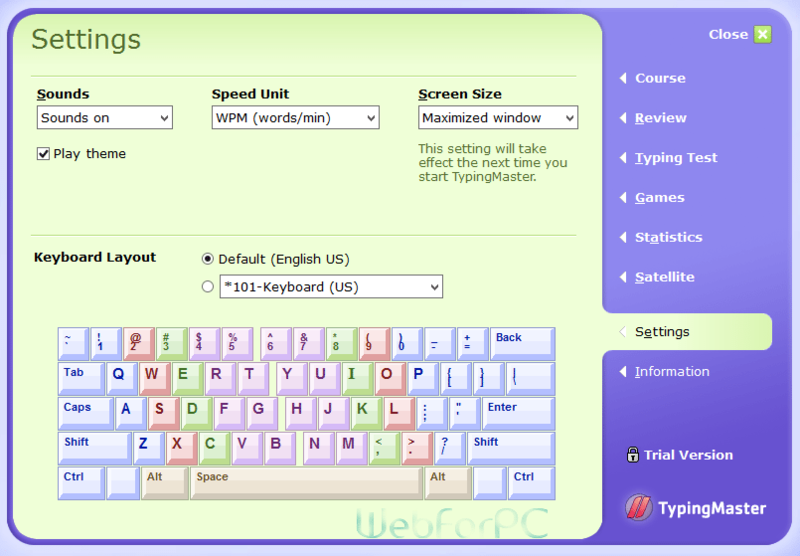 Test your typing speed, learn it right from the start and TypingMaster will lead you to the professional typing speed. TypingMaster Pro is an application software designed to practice typing with different tests to enhance key depressions speed. Different games, countdown tests, and word writing test have been included in the pack to test your typing skills and improve the parts where your fingers are imperfect to work. A comprehensive guidance is provided by the software itself to guide newbie a way to become a pro typist. Typing speed is an important factor to determine, how quickly you would be able to finish your online assignment, data entry task, website article or any other project relating key punches. So typing speed matter’s alot. 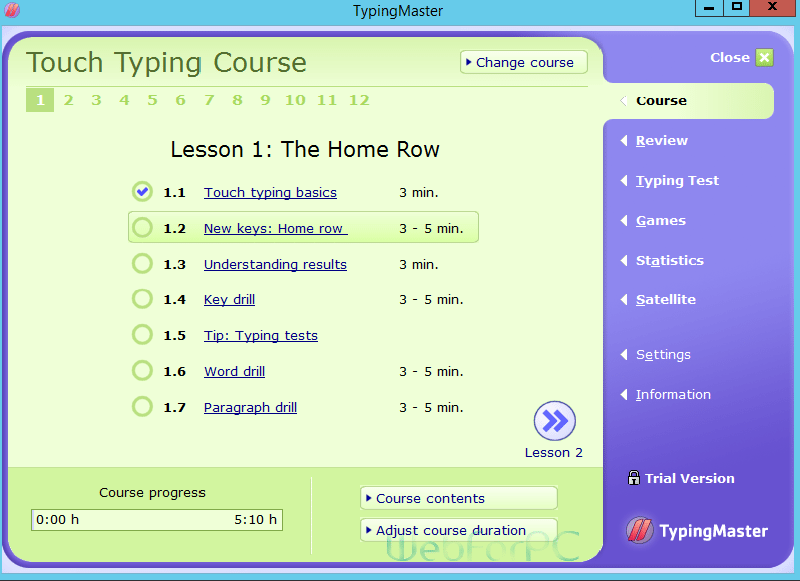 In this brand new Version of TypingMaster Pro 12 Touch Typing courses have been included with user guidelines to accelerate your typing speed. Typing basics are being taught and result card is there after very key drill to show you the performance. Similarly words, Sentence and paragraph drill is designed the way it suits your comfort and satellite tips for skills tracking are adding an extra aid to your ongoing tests. Children are always addicted to games, So in latest TypingMaster Pro games are made a part of the learning process, in order to get proficient speed one can try different games to trace down different alphabets, hence providing a chance to see a reasonable difference in words per minute count. Duration of game or count down time depends upon how successfully you have caught the words by typing them in exact order and within the time specified. So games are good for children to perfect their typing speed. Advance feedback and tips panel is there for assistance, in getting through keyboard drills. TypingMaster Pro is a features product with advanced user interface and below we list some of the noticeable features for viewers. More than 12 touch typing courses. Animated 2D Games for you, not to get bored. Comprehensive course progress and result card after test. Duration is optimized on performance. Satellite guidance for newbie typists. Developer’s Website: Typing Master 2015 Official Website. Compatible with windows 8, Windows 7 and Windows 10. TypingMaster Pro is not only for children to accelerate key punch speed, but word per minute tests are included to drill and hit a professional WPM Mark. Comprehensive reports allow you to figure out how good your typing speed is. So Download this useful application now. Clicking the download button below would let you download TypingMaster Pro just in a single click.